If you read Wednesday's post and thought I sounded conflicted about posting so many meat-containing recipes in a row, you're very perceptive. I've got a Guinness-soaked easy meal, a terrific Thai cold-busting soup, and a Fast From The Farm Share supper on deck--but they all involve meat. And I feel the need to share a vegan recipe in the midst of all this meat so here's one that's been percolating on my mental back burner for a while. Why do I say percolating? Well, the recipe I wanted to make just wasn't working for me. I kept trying variations within the parameters I'd established, and when I hit upon the final concoction that worked I realized I didn't have the exact proportions to share with you. So I'm going to explain the concept, give you some measurements as a jumping off point, and leave it at that. I mean, with 6 ingredients [including salt and pepper] there's plenty of 'taste and adjust' for each of us to do. I'm always on the lookout for new ways to love beets from my CSA farm share, so when I got an email from goop including a recipe for beet and walnut spread I mentally filed it under the 'Beet Recipes to Try' section of my brain. Don't tell me you don't have a Beet Recipes to Try area of your brain? Pity. 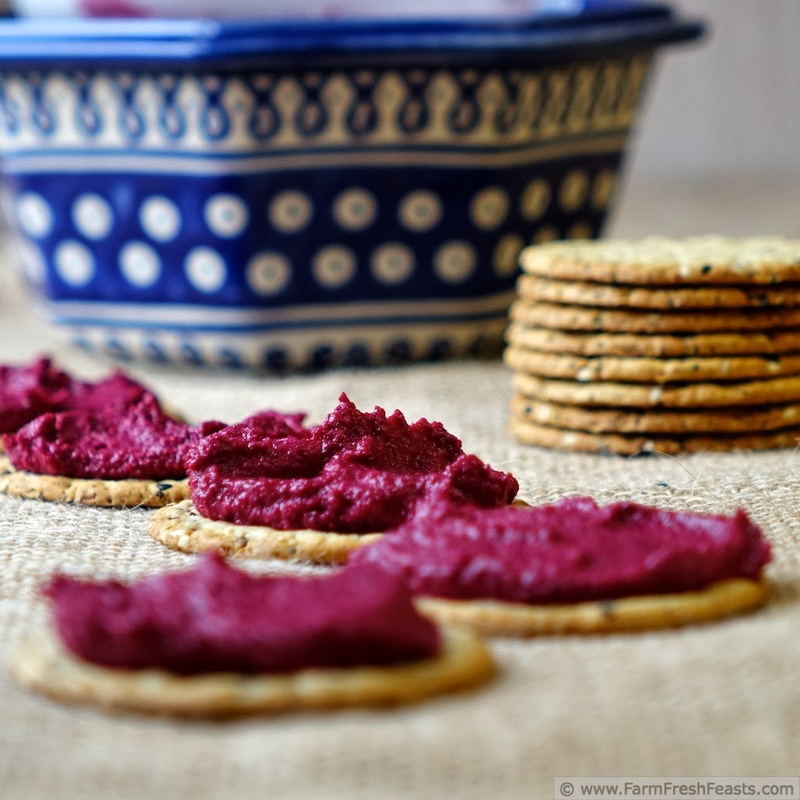 This Beet and Walnut Dip is my inspiration, and I am sure it is delicious, but I a) was running low on tahini and had some hummus to make and b) desired to have another tahini-free appetizer in my spread. So I took the beets, walnuts, olive oil and salt from that recipe, and was trying . . . trying . . . trying . . . to make something other than BeetyWalnutButter. I failed. I was about to grab the goat cheese and de-veganify it when I remembered how well beets and oranges go together (hello, Beet Juice Mimosas!). I grabbed some freshly squeezed Hamlin orange juice from the Band Fruit Fundraiser, threw the concoction back into the food processor to incorporate the juice, and DONE! The orange juice and olive oil emulsify to fluff up the BeetyWalnutButter into an Orange-spiked Beet and Walnut Spread. 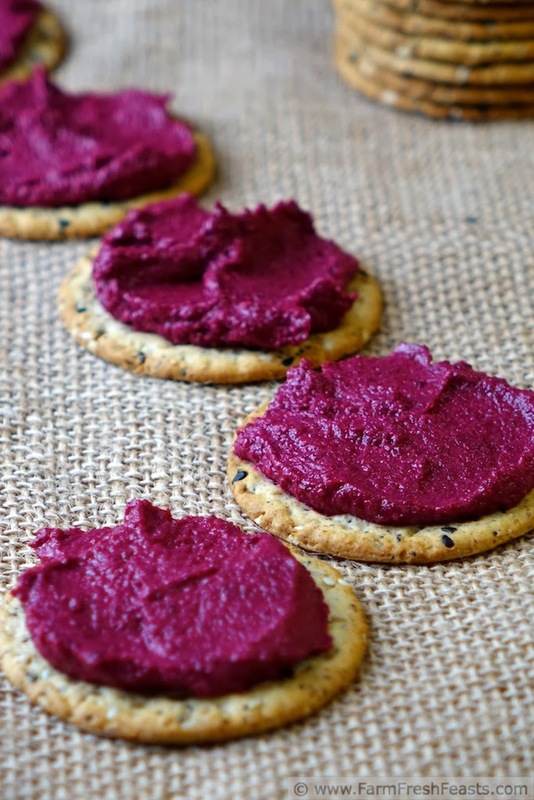 As much as I love my Beet and Goat Cheese Spread, I was looking for a vegan addition to my Awesome Vegetable Apps and Snacks collection (link to my Pinterest board) and this one works great. I like it on carrots or crackers and spread on toasted sourdough bread in a sandwich. I think it would be delicious topped with sautéed mushrooms, as the earthy flavors of beets and mushrooms make a nice pairing in my favorite Danish smørrebrød: liverpostej. 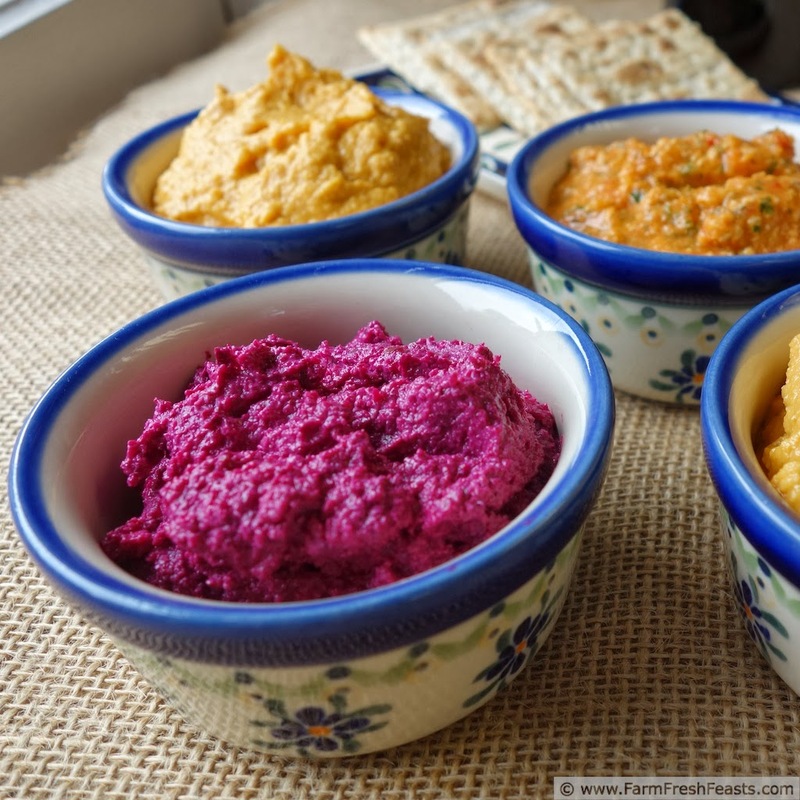 If you've got beets, walnuts, an orange and a bit of time to use the oven, as well as a food processor or amazing knife skills, you can enjoy this vegan spread today. It makes a colorful addition to an appetizer table. For more recipes using beets, please see my Beet Recipes Collection. It's part of the Visual Recipe Index by Ingredient, a resource for folks like me eating from the farm share, the farmer's market, or the garden abundance. More recipes! I'm pinning more recipes to my Pinterest boards, follow me there. If you like behind-the-scenes shots, please follow me on Instagram. When I encounter an article that makes me think or makes me laugh, I share it on my Facebook page--please follow me there. Want to know How to Use This Blog? In a dry skillet over medium heat, toast the walnuts until they are fragrant, about 3 minutes. Remove from heat and set aside to cool. Scrub the beets, then place them in a foil packet with a drizzle of olive oil. Seal the packet and place in the preheated oven for about an hour until the beets are tender and their skins slip right off. In a food processor, or a blender even, pulverize the toasted walnuts until they are in small pieces. Add the beets and pulse a few times to blend with the nuts. Add the olive oil and orange juice, and starter amounts of salt and pepper, and thoroughly combine. Taste at this point--do you want more salt or pepper? Do you like the texture or do you think you need more oil or juice? This spread keeps for a week in the fridge. **I'm conflicted on this "roasted beets" business. Covering something in foil and sticking it in the oven is not roasting, I know. But uncovering the beets and roasting them like potato cubes does not turn out so well for me. And "Oven Steamed Beets" is kinda bulky to write. Absolutely beautiful! I really like the rich color, it would look stunning out on a table for a party (or just for me curled up on the couch watching the Oscars!) I can't wait to see the Thai soup! Beets do have such a gorgeous color. I just took out a package of beet pizza dough to thaw for tonight's pizza, and wondered why I took the trouble to label the package. I mean, butternut, or pumpkin, pizza dough can look the same but beet? Nah--it's in a class by itself. I love these pictures. The colors are beautiful, and I may need to try beets thisway. By the way, you had me laughing almost the entire time. Thanks for the link love too!! I'm kinda pleased with these photos, too. To the point that I chose not to throw words all over the place like I've been doing lately. I'm glad to make you laugh--you're a hoot, too! Thanks for pinning this recipe! It's much appreciated. And thanks for hosting Tasty Tuesdays! Good Morning Kirsten, I adore eating beetroot, I roast it, skin it and sprinkle with salt, then allow the beetroot to cool and eat it just the way it is.....but, I love the sound of your orange spiked beetroot and walnut spread. 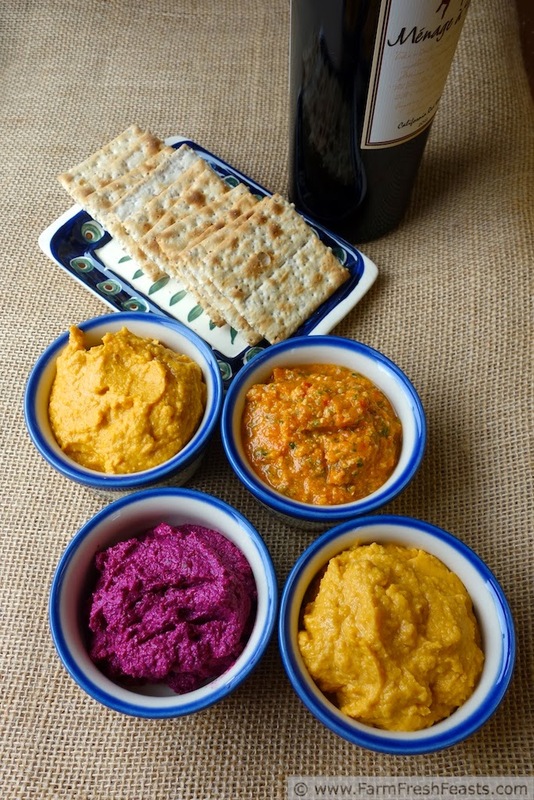 I make a lot of dips and use tahini quite a lot, but I am firstly going to try this spread with orange and then try it with tahini. Thank you for showing me there are other ways of enjoying beetroot. Please tell me more about how your roast it--covered or uncovered? I feel like I've mastered the covered roasting, but I'd love to know how to get a dry/uncovered roasted beet. Mine just shrivel up and make beet jerky--and not good beet jerky. Beets are probably my favourite vegetable, root vegetables or otherwise. I love the sounds of this and the colour? Phenomenal. Thank you so much! I am more partial to beet greens than beets, but I do love colorful food and this is such a nice addition to a colorful vegetable spread. It's yummy. Meghan first taught me about the combination of beets + orange juice, and once I tried that in a smoothie I too was hooked.